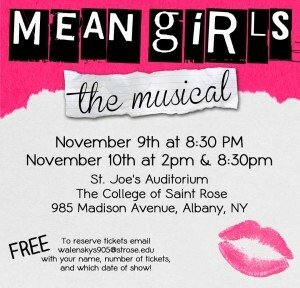 So I’d like to point out an extremely important fact-> Mean Girls: The Musical is this weekend! 😀 I’m soooooo excited I can barely go an hour without singing one of the songs! Everyone should go, just email Soozey@graviteetv.com and give your name, number of tickets and the date of the show you would like to attend! The show is Friday 8:30 & Saturday 2:00 or 8:30 and I’m dying for all of my friends to see it! So come out and support us, why BECAUSE WE’RE AWESOME and it’s free. I know that you’re chomping at the bit to learn more so visit the Facebook page and check out our own Burn Book! I’m gonna stop talking about it now for fear that some of Gretchen’s hair secrets will slip out and spoil something. Leave me a comment letting me know how excited you are and what your favorite fetchy Mean Girls moments are! 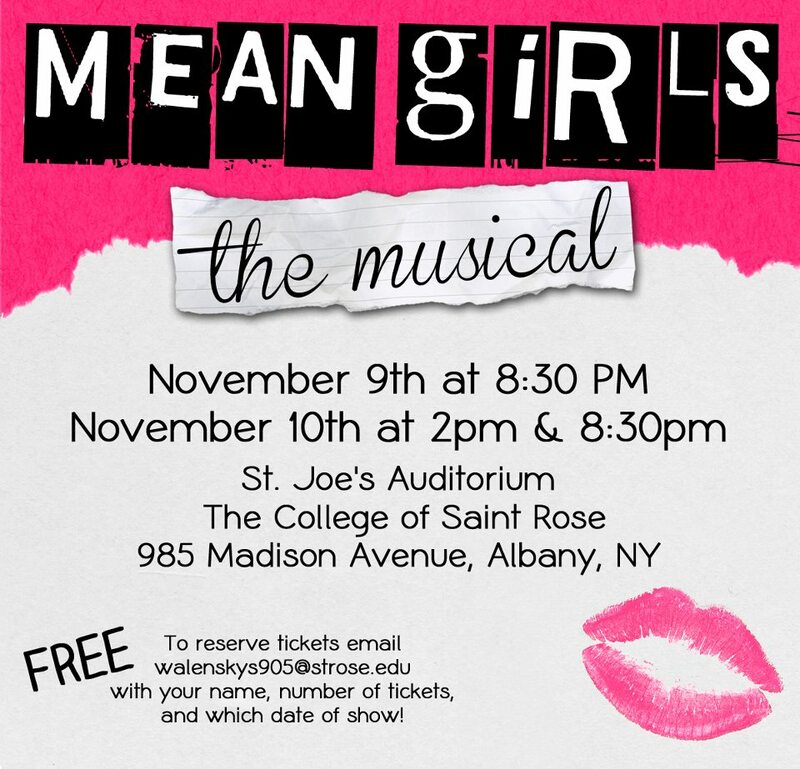 Mean Girls: The Musical, opening this weekend! See you there, It’s gonna be totally fetch!